Karen is the founder and clinical manager, her vision for the trust spans over the 14 years of service and continues to be a driving force in providing new and better services. 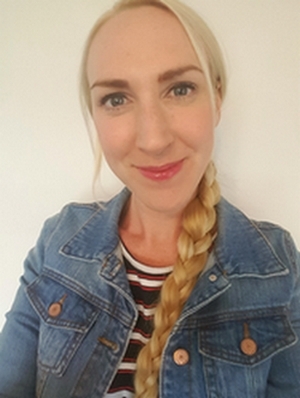 She has originated and delivered64 Intensive Outpatient programmes and together with Emma Peek and Rosalie Dyksma developed and run the Children’s programs, and continues to work one on one with clients as they present at the service. Nadine has been with the Familial Trust for 4 years, 2 years as a R.O.C.K s Childrens Group Leader plus over 1 year as receptionist. Nadine is the hub of Familial Trust and often the first point of contact for many clients. Nadine grew up in Christchurch and moved often with the demands of her employment primarily in retail both in New Zealand and Australia. After extensive travel Nadine has remained in Christchurch since 2009. Nadine loves reading, walking, spending time with her family including her two wonderful nieces and baking. Nadine has a certificate in youth work, administration and management expertise and the ability to put all those who enter the doors of Familial Trust at ease. Lonaye McKay Lonaye started working with the Familial Trust as Co-facilitator of The Intensive Outpatient Programme in 2016 while studying for her Diploma in Counselling. Having achieved her Diploma, she is now working with clients and completing a Degree in Counselling. Lonayes own experience of living with whanau with addiction inspired her passion for work in this field. Lonaye finds working in an agency that has a mission that aligns with her personal values extremely fulfilling and the Familial Trust's clients to be brave and inspiring people. Lonaye embraces a Person-Centred philosophy in her work and loves to use creative therapy with her clients. Lonaye has 4 amazing kids and a wonderful partner in her life and in her spare time is usually to be found out running round the city.